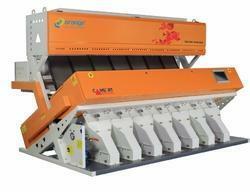 Offering you a complete choice of products which include sesame color sorter. Avail from us an excellent range of Sesame Color Sorter, which is considered as the most nutritious seeds due to its proteins and valuable minerals. The products we offer are also known as hulled sesame seeds, when the husk hull (skin) of these seeds are removed. Our products are sourced from reputed vendors, who process these in absolute germ free & hygienic conditions with the use of varied latest machines for cleaning, hulling, drying and color sorting. When these seeds are baked and their original white color sustains, this ensures that they are of pure nature. Owing to the delicious taste and high nutritional value, our products are widely used in breads, burgers, spreads, drinks, sauces, cereals, crackers, granola, candies, soups & various other confectionery and bakery products.